Murder mystery games are generally party games wherein the party-goers must solve a murder, determining who among them is the murderer and how and why the murder was committed. 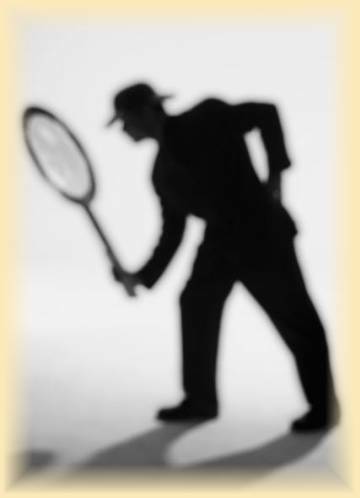 A typical murder mystery game opens with a ‘death’ and the rest of the time playing is devoted to investigation and solving the murder. To understand the origin of murder mystery games, we must start at the very beginning and examine the origins of murder mystery fiction. The first fictional detective was Edgar Allen Poe’s “August Dupin” in Murder in the Rue Morgue, which was published in 1841. A year later, reality followed fiction and the London Metropolitan Police appointed their first detective force, consisting of eight men. In 1860, the UK experienced the rise of masses of amateur sleuths after the murder at Road Hill House – the first murder to be extensively reported in the press. On June 30, 1860, three-year old Saville Kent, was found with his throat slit in the privy of Road Hill House, a Victorian manor. The only suspects were the members of the household – Saville’s father and mother, his siblings, the nursemaid, and the household staff. 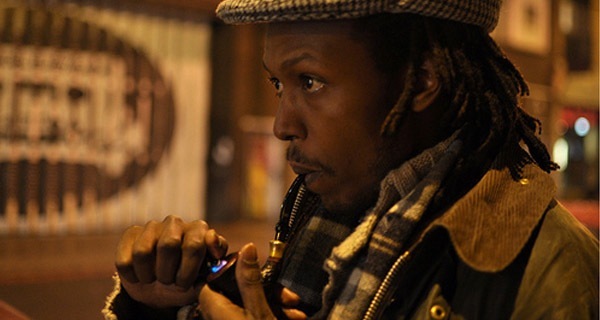 The disturbing murder set the British public on edge and they clamored for more information on the case. The press responded to the public’s interest by printing hearsay and rumors as well as facts and the general public descended on the investigation like vultures, eager for any bits of juicy gossip. Everyone had their ideas as to who killed little Saville Kent and how it was done, even to the point of contradicting the police force in the national press. It was this case that inspired murder mystery fiction for over a century and even now, serves as a blueprint for modern murder mystery novels – a manor house, a murder, a seemingly respectable family with secrets, and a singular detective who leaves no stone unturned. Wickie Collins’ Moonstone, released just eight years after the Road Hill Murder, is considered to be the original fictional murder mystery. And in 1887, the world’s best known detective, Sherlock Holmes, stepped on the scene, courtesy of Sir Arthur Conan Doyle who, during his career, wrote 4 Sherlock Holmes novels and 56 short stories with Sherlock Holmes as the protagonist. 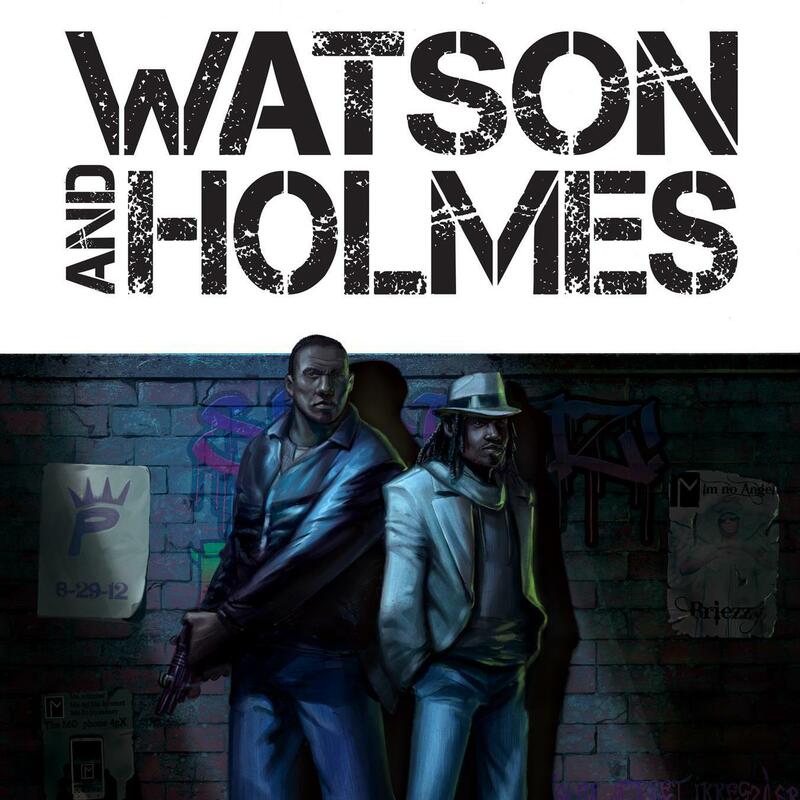 By the way, for a Blacktastic take on the Sherlock Holmes franchise, check out Watson and Holmes, a digital comic by Karl Bollers and Rick Leonardi, in which Holmes and Watson are African-American. Besides playing detective and reading murder mysteries, people during the Age of Steam were also lovers of all types of parlor games, many of which have survived until this day. The origin of present day murder mystery games can be found during this era, beginning in the late 1800s, after the Road Hill Murder case. These games started out in the form of after-dinner entertainment and had such intriguing names as Murder in the Dark, Wink Murder and Jury. In 1935, the first murder mystery boxed game known as Jury Box hit the market. Guests took the role of jurors examining the evidence from the fictional murder case presented to them. In 1948, the first murder mystery board game, Cluedo – called Clue in North America – was released and has continued to be a popular entertainment for all ages. The 1980s saw the birth of the murder mystery role-playing game. Back then, the scenarios were simple, the acting directions minimal and the games relied on the guests being comfortable ad-libbing responses to each other’s questions. Those basic games have increased in complexity and fun and are the role-playing dinner party games we now know and love. Join us on Friday, February 22nd, 2013, as we step back in time, to the Age of Steam and experience the Steamfunk Mystery Dinner Party! 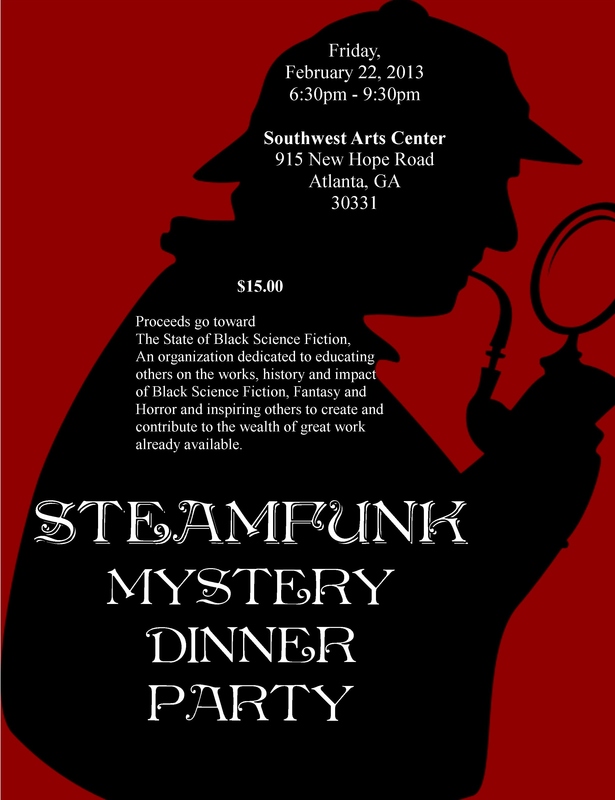 Posted by Balogun on November 18, 2012 in Adventure, atlanta, Fantasy, Historical Fiction, Role Playing Games, Science Fiction, Steampunk and tagged balogun, cluedo, murder mystery, mystery dinner, role-playing, sherlock holmes, steamfunk, Steamfunk Mystery Dinner Party, steampunk. Oh no! I see the event has been cancelled! Please tell me you will be rescheduling this as that we were highly anticipating the 23rd with costumes and everything! Yes, Helena. We are going to try to reschedule for April. Thanks, so much, for your support! Yeah! You don’t know how happy I am about that!